The rate of fatalities involving drivers over 75 is about the same as teenage drivers. 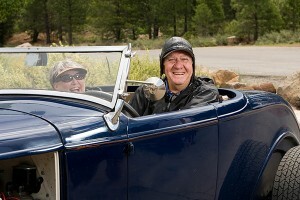 Seniors have a higher risk of being involved in an accident for every mile they drive. One of the most difficult situations we face is dealing with a Senior or Elderly person we care for that must give up driving. For most Seniors or Elderly individuals, giving up driving means a tremendous loss of independence and freedom. To a person losing their health, it’s a time where we are adding yet more restrictions and limitations on them. For some Seniors / Elderly in our care, giving up driving can be one of the most difficult things to come to terms with. Especially when your loved one experiences a disease such as Alzheimer’s or Dementia, where the signs that it’s time to give up driving may occur slowly and intermittently. Some Elderly or Seniors recognize that they no longer feel comfortable and safe driving. For these individuals, there is a feeling of loss when you negotiate giving up this coveted privilege. But they generally take it well. Then there’s the opposite situation, where you care for a person that you know is not driving safely any longer – yet they believe and insist that they are. This can cause a lot of conflict within a family. The Senior or Elderly person can feel alienated from the family from such conflicts. The time to begin to discuss the issue of driving is as early as possible. Experts believe that while any discussions on driving are likely to be emotional for all parties, they should not be put off. Be prepared to have multiple conversations. Ongoing and candid conversations are recommended in order to establish a pattern of open dialogue. Continuing conversations give the Senior or Elderly person time to consider the situation without the strain of necessarily changing behaviors immediately. Always display patience and understanding. Keep their perspective in mind at all times. For example, it may irritate and exacerbate their emotions if you bluntly tell someone “you need to stop driving.” It is more effective to begin by talking about the importance of safety and health, the dangers of certain road conditions, etc. Again, multiple conversations may be necessary. Softly approach the issue when you are NOT driving with the person. And TRY not to use too many examples of their inadequate driving skills by naming all the wrong turns, missed lights, etc. you’ve seen. This typically only provokes defensiveness. Involve them in the decision. Try – first and foremost – to NOT make the decision for them. It may, sometime, come to a point where you have to take charge; when you have to hide the keys and move the car to another location. But most Seniors and Elderly will, at some point during the discussion process, understand and accept they need to give up driving. THEY will decide it is not safe or even comfortable for them to drive. When a Senior or Elderly person decides it is time for them to give up driving, that is a a SIGNIFICANTLY BETTER outcome than you TAKING AWAY driving from them. How do you do this? During your conversations with them, you discuss how THEY feel about driving these days, how THEY feel about all the “crazy drivers” out there, the safety of the roads, and their abilities and limitations. You ask them questions about how they FEEL about a situation when they got lost or caused an accident. If you’re like my Dad, you’ll learn that he never causes an accident, instead it’s all the “crazy drivers” out there. So ask your Senior or Elderly loved one how they feel about those crazy drivers and when do they feel it is time to stay off the roads with those “crazy drivers” for their own safety. Again, this may take time and patience. Offer alternatives. Giving up driving will not nearly be as difficult if there is a appealing alternative. For example, perhaps family members could take turns weekly driving a Senior or Elderly relative somewhere they wish to go or need to go. Or hiring a driving service or a Home Care service to take them where they want to go one or two days a week. Another idea is to have them move closer to other family members that can bring them groceries or easily take them places. Or they could move closer to where they can walk to stores. This might be an opportunity to discuss the benefits of an assisted living facility or retirement community where there are shuttles and buses that regularly go the places they wish to go. This is the best way to approach a solution – to replace their driving with an alternative that is agreeable to them. Most of the time, the Senior or Elderly person truly knows in their heart they do not want to drive. They generally know when they forget where they are going or take chances with safety in traffic. But it’s often not about giving up the act of driving as much as giving up the feeling of independence that comes with driving. So approach the topic slowly, with patience and understanding, and offer them alternatives. This will go a long way to help relieve that frustration and will reduce the potential for conflict. We provide home care to Seniors, Elderly and others dealing with physical or mental challenges or disabilities. We provide hourly, daily or round-the-clock care. Comfort Caregivers Inc. is a member of Companion Connection Senior Care, a national membership organization of non-medical home care agencies. As a member, we have access to recognized experts in the field of home care and the most current educational resources, enabling us to provide the highest level of care to our customers.